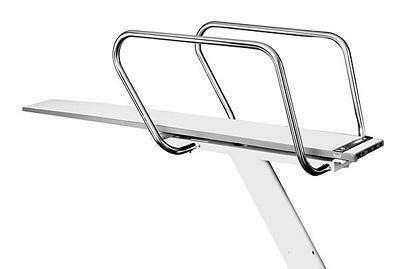 The most common option, designed for competition and larger commercial or instutional pools where ample space is available. May be installed indoor or outdoor. 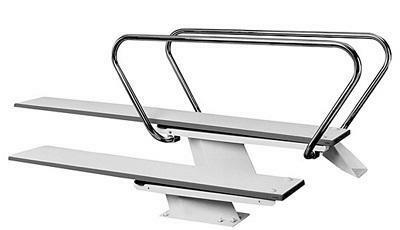 Guard rails and hand rails are welded and extend to pool edge. Two deluxe rear anchors. 26" steps. Available in Ultraflyte(.145"), Superflyte(.109"), and Topflyte(.065") grades. Designed for limited space, particularly natatoriums. Uses three feet less deck space than ladder at rear towers. 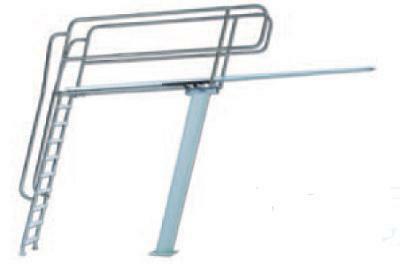 Ladder can be mounted on either side. 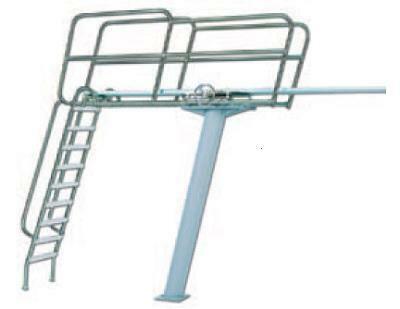 Guard rails and hand rails are welded and extend to pool edge. 19" steps. Not suitable for competition. The economy model is designed for recreational use. Fulcrum may be repositioned. 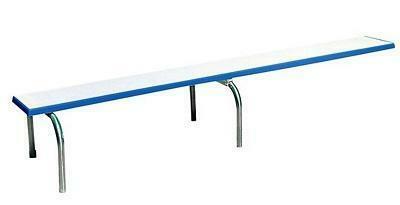 Guard rails and hand rails are welded and extend to pool edge. 19" steps. Available with flanged or plain pedestal. 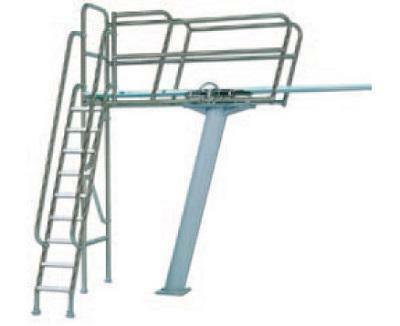 Ideal for replacing exsisting or obsolete diving towers up to one meter. No pedestal required. For recreational, non-competitive facilities. Complete with frames, rear rails with one or two mounting steps, 4 bronze anchor sockets, two deluxe rear anchors, and hand adjustable fulcrum. 26" steps. Available in deluxe and heavy duty. 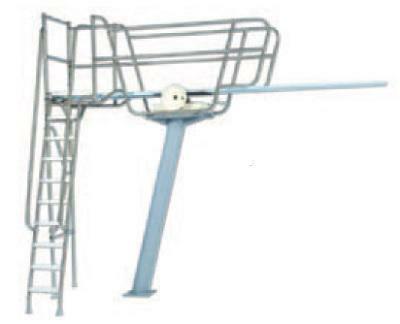 The 2/3 Meter Deck Level tower is a great stand for commercial pools that need a durable, mid-sized diving tower that will hold up to moderate to heavy-duty use. The 2/3 Meter Deck Level tower is primed only and requires a paint topcoat. Handrails are not required for this tower, but are strongly encouraged.